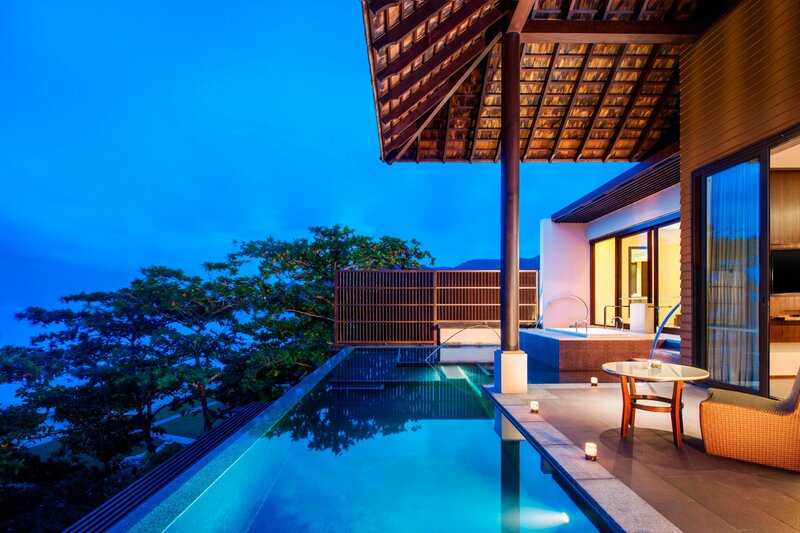 Steps from a pristine white sand beach, Vana Belle, overlooks the glittering cerulean waters of the Gulf ofThailand. A verdant natural oasis, our captivating resort is still just minutes from the renowned restaurants,shopping, and nightlife of Chaweng. 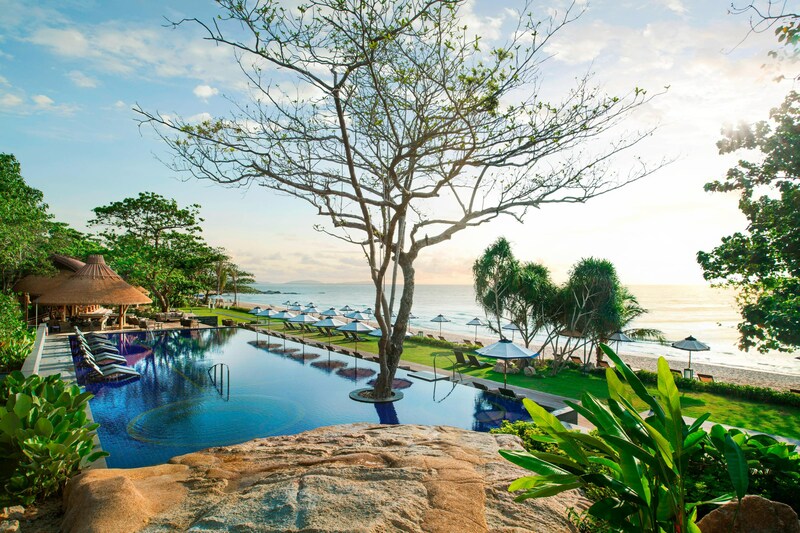 Our beachfront infinity pool offers inspiring vistas, while indoors,Vana Spa restores the mind and body with powerful Thai therapies. Kiree, our signature restaurant, presentslocal specialties and our creative in-room dining provides private epicurean options. Each of our 79 majestic suites and villas enchants with a private pool, terrace with iconic views, and island-inspired décor.Moreover, a signature Luxury Collection bed and our always-on-call Concierge ensure an unrivaled stay. “Vana” in classical Thai meaning “forest”, and “belle” meaning “beautiful”, perfectly describe the ambiance of this intimate, lush, beachfront retreat on Koh Samui. Nestled in a secluded cove on the pristine white sands of Chaweng Noi beach, Vana Belle, A Luxury Collection Resort, Koh Samui is fringed by verdant surroundings. Designed to offer guests complete privacy, Vana Belle’s 80 spacious Pool Suites and Pool Villas with expansive outdoor spaces have been created in a contemporary style with indigenous Thai accents along with every modern luxury and convenience. 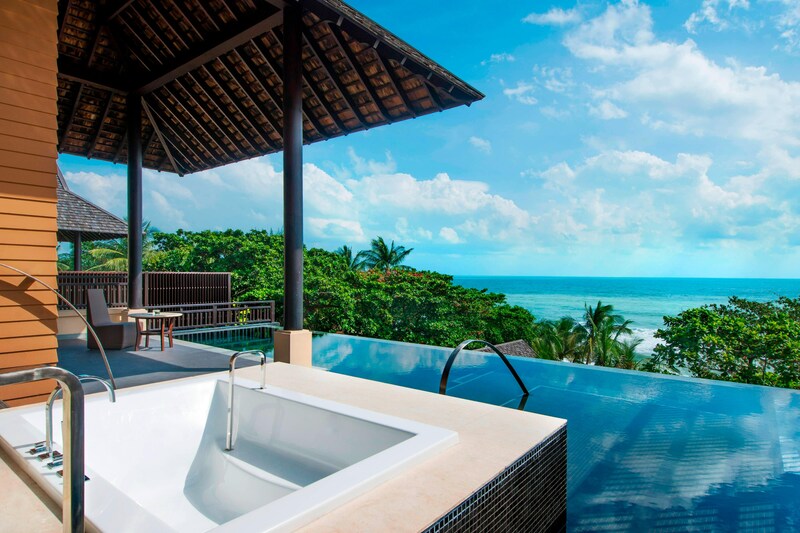 All Suites and Villas have a private pool and a spacious terrace, either with stunning views out over the beach or of the lush rainforest backdrop. 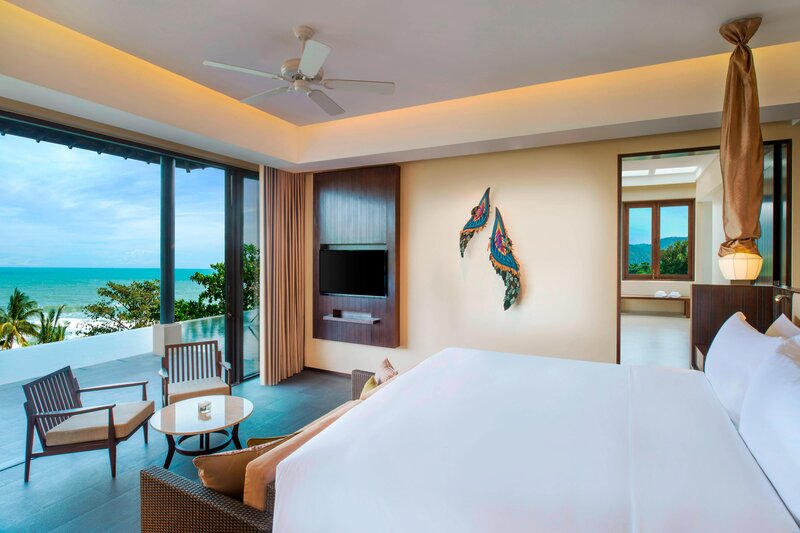 Offering timeless Thai elegance, the Ocean View Pool Suite at Vana Belle Koh Samui boasts a breathtaking view of the cerulean waters of the Gulf of Siam from a spacious terrace. Vana Belle, A Luxury Collection Resort, Koh Samui boasts sophisticated event venues providing the ideal setting to host weddings and social events on the island. Our dedicated Events Team will ensure an experience that goes beyond expectation. Under the shade of native trees, protected from the sun’s dazzling rays, and surrounded by the gentle sound of waves lapping the soft white sands of Chaweng Noi beach; Vana Belle Koh Samui, is nestled amidst its own secluded beachfront forest. 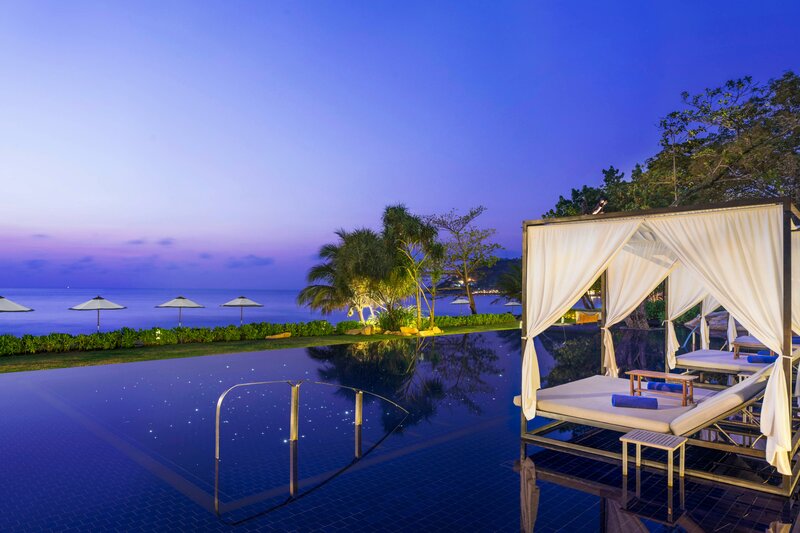 Set in immaculately landscaped, tropical gardens, the Vana Belle Koh Samui’s beachfront infinity pool offers breath-taking panoramic views over the pristine white sands of Chaweng Noi Beach and the sparkling Gulf of Thailand. 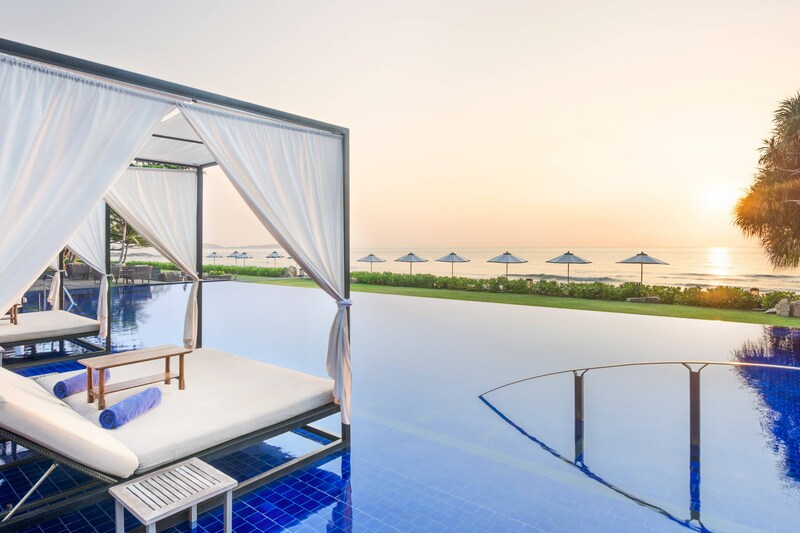 Relax on sun loungers aligning the wooden decking, or recline on submerged cabanas in the stunning infinity pool. Vana Belle, A Luxury Collection Resort, Koh Samui is located 15 minutes away from Samui International Airport and 40 minutes from Nathon Ferry Terminal. The highlight of the area is the beauty of Chaweng Beach, the longest strip on the island, stretching 6 kilometers parallel to the Gulf of Thailand with powdery white sands and offering a wide range of shops, restaurants, and nightlife entertainment. The easiest way to get around the island is by public taxis which can be found around the island. Alternatively, embrace the island spirit by using local taxis, which locals call ‘Song Teaw’. Song Teaw are red pick-up trucks, traveling on fixed routes but with no official stops. Hop on and pay as you disembark.